Q: The financial markets globally are obsessed with whether the Federal Reserve (Fed) will withdraw stimulus or not? What is your observation, do you expect the Fed to continue pumping the system with liquidity? 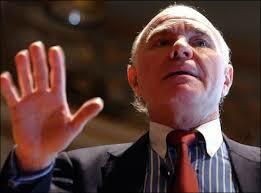 Marc Faber : First of all, whenever the market is obsessed with one indicator, whether in the 1970s when it was the money supply, or in the 1980s, when it was the deficit, employment, it usually loses its relevance. But, I believe that the Fed will continue to monetize. We had quantitative easing (QE)1, QE2 and now we are in QE3.